2018 will mark the 20th anniversary of Visual AIDS' benefit art sale and we hope that you will participate. The 2018 venue and dates will be announced soon, along with exciting special events and partnerships for the 20th anniversary. To ensure that artists have enough time to create original work, we are sharing the guidelines for submission now so that you can get started. 1. Create or attach an original artwork on the enclosed postcard or any 4x6” heavy weight paper. Drawings, photographs, paintings, printmaking, and mixed media are welcome. ONE ENTRY per artist. 2. Sign and Print Name on BACK ONLY. Also, indicate the top with an arrow. 3. Complete Submission Forms for Collector and Visual AIDS. 4. Carefully package artwork. Recommended: wrap artwork in wax paper and place between cardboard. Do not submit charcoal or pastel pieces without fixing them. Do not wrap wet or sticky artwork. 5. If you need confirmation that we received your artwork, include a self-addressed, stamped postcard. 6. If you would like your unsold work returned, please include a 6x9” self-addressed, stamped envelope with proper postage. Unsold artwork will NOT be returned unless an SASE is enclosed. Visual AIDS is not responsible for artwork lost or damaged in the mail. PFTE is one of our most important fundraisers of the year, and its success will allow us to produce important art activism projects in 2018. By participating, artists support our mission, enabling us to produce AIDS-focused contemporary art programs and provide supplies and assistance to artists living with HIV/AIDS, many of whom are unable to continue producing work without such support. THANK YOU - The support of artists makes this event a success each year. We couldn't do it without you! Create or attach an original artwork on any 4"x6” heavy weight paper. Drawings, photographs, paintings, printmaking, and mixed media are welcome. ONE ENTRY per artist. If you are in NYC and would like a blank postcard, stop by our office to pick one up, donated by Canson. For information on mailing artwork and to download the submission form, visit the Visual AIDS website. PFTE is one of our most important fundraisers of the year, and its success will allow us to produce important art activism projects in 2017. By participating, artists support our mission, enabling us to produce AIDS-focused contemporary art programs and provide supplies and assistance to artists living with HIV/AIDS, many of whom are unable to continue producing work without such support. 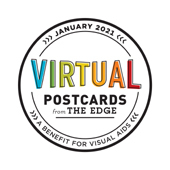 Visual AIDS invites you to participate in our 18th Annual Postcards from the Edge benefit. Host Gallery: Sikkema Jenkins & Co.
Postcards from the Edge is a unique benefit show and sale of original, postcard-size artworks on paper by established and emerging artists. All artwork is exhibited anonymously, and the identity of the artist is revealed only after the work is purchased. Proceeds benefit Visual AIDS. 2.Sign and Print Name on BACK ONLY . Also, indicate the top with an arrow. 3.Complete Submission Forms for Collector and Visual AIDS. 4.Carefully package artwork. Recommended: wrap artwork in wax paper and place between cardboard. Do not submit charcoal or pastel pieces without fixing them. Do not wrap wet or sticky artwork. 5.If you need confirmation that we received your artwork, include a self-addressed, stamped postcard. 6.If you would like your unsold work returned, please include a 6x9” self-addressed, stamped envelope with proper postage. Unsold artwork will NOT be returned unless an SASE is enclosed. Visual AIDS is not responsible for artwork lost or damaged in the mail. We appreciate your generous donation of artwork. Postcards from the Edge requires months of preparation, processing and hard work to make it a success. There is no entry fee, however you can help cover overhead cost and make this event even better by making a donation with your artwork submission. Every dollar helps and all donations are appreciated! All participating artists are invited to attend the Preview Party for FREE, additional guests can purchase admission at the door. The Preview Party is the only chance to view the complete exhibition. Guests receive a list of all participating artists, however they do not know who created which piece. Artists’ names are only revealed after purchase. The Benefit Sale is first come, first served, all works are sold for $85 each. The artwork is removed from the wall as soon as it is purchased. After the event, artists requesting return of unsold work or information about the collector of her/his artwork will receive notice in 4-6 weeks. Thank you in advance for your generosity and support. Please spread the word and invite other artists and friends. We are grateful to Canson US for their donation of 4x6” blank postcards. Support Contemporary Art Rochester Contemporary Art Center's (RoCo), international small art phenomenon returns for the 8th year! Help us once again to build an incredible exhibition of thousands of artworks made and donated by celebrities, international & local artists, designers, college students, youths, and YOU. Each artwork must be 6x6 square inches (15cm) or mounted to a 6x6 board, signed only on the back, and exhibited anonymously. 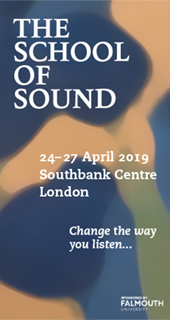 All entries will be accepted and exhibited in the gallery and online. All artworks will also be offered for sale to the public for $20 each to benefit RoCo. Artist names will be revealed to the buyer upon purchase and all artworks will remain on display through July 12, 2015. Sold Out artists' names will be revealed next to their work online on July 3. Artists may enter up to 4 artworks of any medium (2D or 3D) and there is no fee to enter. Thank you for your participation! 6x6 Returns for the 8th Year Last years exhibition included over 6,700 artworks from 65 different countries and every US State! Past international artists contributors include Philip Glass, Jerry Uelsmann, Carl Chiarenza, Nathan Lyons, Joan Lyons, John Pfahl, Bill Viola, Dexter Dalwood, Wendell Castle, and many more. Past celebrity artists include Thich Nhat Hahn, Louise Slaughter, and Andrea Barrett among others. contribute to The Future Fund. Visual AIDS invites you to participate in our 17th Annual Postcards from the Edge benefit. 1. Create an original artwork on any 4x6” heavy weight paper or canvas. * Drawings, photographs, paintings, printmaking, and mixed media are welcome. ONE ENTRY per artist. 6. If you would like your unsold work returned, please include a 6”x 9” self-addressed, stamped envelope with proper postage. Unsold artwork will NOT be returned unless an SASE is enclosed. Visual AIDS is not responsible for artwork lost or damaged in the mail. admission at the door. The Preview Party is the only chance to view the complete exhibition. Guests receive a list of all participating artists, however they do not know who created which piece. Artists’ names are only revealed after purchase. The Benefit Sale is first come, first served, all works are sold for $85 each. The artwork is removed from the wall as soon as it is purchased. After the event, artists requesting return of unsold work or information about the collector of her/his artwork will receive notice in 4-6 weeks. Visual AIDS utilizes art to fight AIDS by provoking dialogue, supporting HIV+ artists and preserving a legacy – because AIDS IS NOT OVER. For examples of our work and more information, visit www.visualAIDS.org. the Visual AIDS office. Please note that artists are welcome to create artwork on any 4x6” paper or material of their choice. Each year we offer a strictly limited edition lithographic hand-numbered print (strictly limited to 250) for the far from princely sum of £10. Buying the print entitles the purchaser to automatic entry into the draw for ‘Lottery Show’, now in its fifth year. The draw will take place on the weekend of Frieze in October at Sluice Art Fair. The winner will be given a 4 week slot (to use however they like!) as part of the gallery’s programme the following year. this year’s limited edition – is by JORDAN McKENZIE ! Fountain Art Fair is excited to announce our 3rd annual competition to represent Fountain in the upcoming WAGMAG benefit on Tuesday, May 27th! WAGMAG, our presenting non profit sponsor for New York 2013 and 2014 at the 69th Regiment Armory, is a free monthly that promotes every gallery in the County of Kings. The benefit will be held at Kunsthalle Galapagos and will showcase over 100 artists. This exceptional annual event is attended by a contingency of curators, press and high profile collectors who support this amazing publication and the Brooklyn arts community. - A promotional campaign from Fountain detailing their career and artwork. The five selected artists will also be eligible to win a featured installation at Fountain New York 2015. The submitted artwork should be valued at $250 or more, submit early and often as the competition closes Friday May 16th and winners will be announced Monday May 19th. All selected artwork must be delivered to Front Room Gallery (147 Roebling Street Brooklyn, NY 11211) by Friday May 23rd or an alternate will be chosen to take your place! Details on the show are here and the submission form can be found online here! Visual AIDS invite artists to donate a 4" x 6" original work on paper for our Postcards From the Edge exhibition and benefit sale. Painting, drawing, photography, printmaking and mixed media are all welcome. Artists must be 18 years or older to participate. One entry per artist. Postcards From the Edge is a Visual AIDS benefit show and sale of original, postcard-sized artworks by established and emerging artists. All artwork is exhibited anonymously. While buyers receive a list of all participating artists, they don't know who created which piece until after purchased. With the playing field leveled, all participants can take home a piece by a famous artist, or someone who is just making their debut. Nonetheless, collectors walk away with a piece of art they love, knowing that the money raised will support HIV prevention and AIDS Awareness. Past Postcards From the Edge Participants: John Baldessari, Yoko Ono, Jeff Koons, Barbara Kruger, Sol LeWitt, Glenn Ligon, Kara Walker, Bill Viola, Ann Hamilton, Catherine Opie, Kiki Smith, Ross Bleckner, Vik Muniz, Marilyn Minter, Elizabeth Murray, Ed Ruscha, Nancy Spero, Cindy Sherman, Jim Hodges, John Waters, Louise Bourgeois, and more…. Visual AIDS invite artists to donate a 4"x6" original artwork for our Postcards From the Edge exhibition and benefit sale. Painting, drawing, photography, printmaking and mixed media are all welcome. Postcards from the Edge is an exhibit and benefit sale of over 1500 one-of-a-kind postcard-size works of art by established and emerging artists. The fun twist about the Postcards from the Edge benefit is that all artwork is exhibited anonymously. The works are signed on the back only and though viewers receive a list of all participating artists, they don't know who created which piece until after purchased! It makes for a fun guessing game, but also puts all the artwork on an even playing field, whether you show at a blue chip gallery or just graduated from art school...you don't know who you might be showing next to or who’s art collection you might end up in! Postcards from the Edge will be hosted at CRG Gallery from January 7-9, 2011.